Why Did Pope Benedict Resign? In the end, it was the travel. That is what people are now saying. It was the travel that Pope Benedict was expected to make, specifically the travel to Rio de Janeiro in Brazil for World Youth Day in 2013, that led him to take his momentous decision to resign. That is the “new” insight about his resignation. The “new” news comes from an interview that has just appeared, evidently conducted this past summer (the precise date of the interview isn’t clear, which is itself perplexing). In the interview, Benedict tells his interviewer, an Italian theologian, that he decided he did not have the strength to make the Brazil journey and to lead World Youth Day in July of 2013 in Rio de Janeiro, Brazil. Therefore, in order to allow time for another Pope to be elected and to begin his papacy some months before the Brazil trip, Benedict decided he needed to announce his resignation early in 2013, and he did so, the interview suggests. And so this is the story now going around: that the World Youth Day trip was the decisive factor in the decision to resign. It is true that Emeritus Pope Benedict recently granted an interview to a respected Italian theologian, Elio Guerrero, author of a new biography of Benedict which will be published in Italy in Italian on August 29: Servant of God and Humanity: The Biography of Benedict XVI. Selections from the interview were published in the Italian daily La Repubblica on August 24 — two days ago. And it is true that, after traveling to Mexico and Cuba (March 23-29, 2012, 11 months before his resignation), Benedict didn’t feel able to make another such challenging journey, as he tells Guerrero. John Paul II’s model for the various World Youth Days included the physical presence of the Pope, Benedict says. “This was a circumstance for which the resignation was a must for me,” Benedict tells Guerrero. Benedict resigned on February 11, 2013, at the age of 85 (he actually stepped down two and a half weeks later, on February 28.) The ensuing conclave elected Pope Francis two weeks after that, on March 13, 2013, now three and a half years ago. Benedict is now 89. But is this really the “true” reason for Pope Benedict’s resignation? I think not, for various reasons. First, the situation Pope Benedict faced was far more complex than simply having to make long papal trips. We know this, for example, from another interview Benedict has given since his resignation, to German journalist Peter Seewald. In this other interview, Pope Benedict says that “no-one pressured him to resign” but also “alleges that a ‘gay lobby’ in the Vatican had tried to influence decisions,” Philip Pulella of Reuters reported on July 1 (link). In a similar way, we know that the Vatican’s access to international money transaction — Visa and Mastercard processing, and wire transfers — had been interrupted during January of 2013, just before Benedict’s resignation. No pilgrims or tourists could pay for Vatican museum tickets with credit cards, only with cash — “Sorry, no card, cash only!’ — for several weeks. 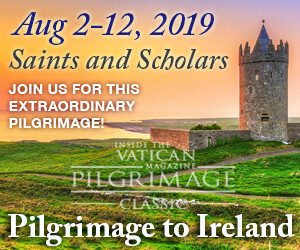 Estimates at the time suggested that these difficulties — never fully explained — caused the Vatican to lose millions of dollars of tourist business during those weeks. And these international money transaction services were restored almost immediately after Pope Benedict announced his resignation. Further, we know that other cardinals had been telling Benedict for some time that he needed to resign “for the good of the Church,” not because of his weak health, but because of his theological and spiritual positions — and because of the strong opposition of sectors of the Roman Curia to any substantial reform of the leadership of the Church. For example, we have the significant witness of Father Silvano Fausti, who died on June 23, 2015. In March of 2015, Father Fausti, Martini’s confidant, gave an interview which was videotaped and is available on the internet. “Father Silvano Fausti related that it happened when Benedict XVI and Carlo Maria Martini saw each other for the last time. “It was in Milan, at the World Meeting for Families on June 2, 2012, that the Cardinal who had been ill for some time, left Aloisium di Gallarate to meet up with the Pope. “Benedict XVI had come back exhausted from his trip to Cuba at the end of March. “That summer he began talking to his closest collaborators about it [note: that is, about resigning] and they tried to dissuade him. 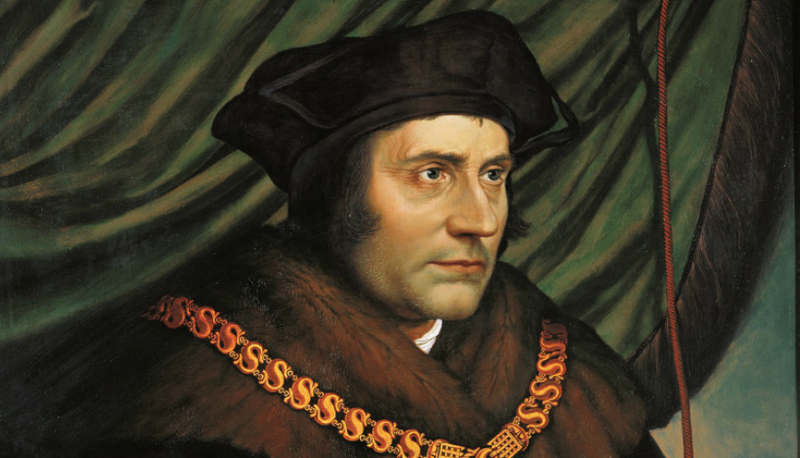 “In December, he convoked the consistory where he created six cardinals among which there wasn’t even one European to ‘rebalance’ the College. “On February 11, 2013, he announced the ‘renunciation’ of his pontificate. So we know that other factors besides making long airplane journeys were influencing Benedict as he tried to decide whether to resign the papacy, and if the answer were to be “yes,” when precisely to announce the resignation. Not in a calculation of how tired he would become from making long airplane flights. Breaking his silence for the first time since he became the first Pope to step down in 600 years, the 86-year-old reportedly said: “God told me to” when asked what had pushed him to retire to a secluded residence in the Vatican gardens. Benedict denied he had been visited by an apparition or had heard God’s voice, but said he had undergone a “mystical experience” during which God had inspired in him an “absolute desire” to dedicate his life to prayer rather than push on as Pope. 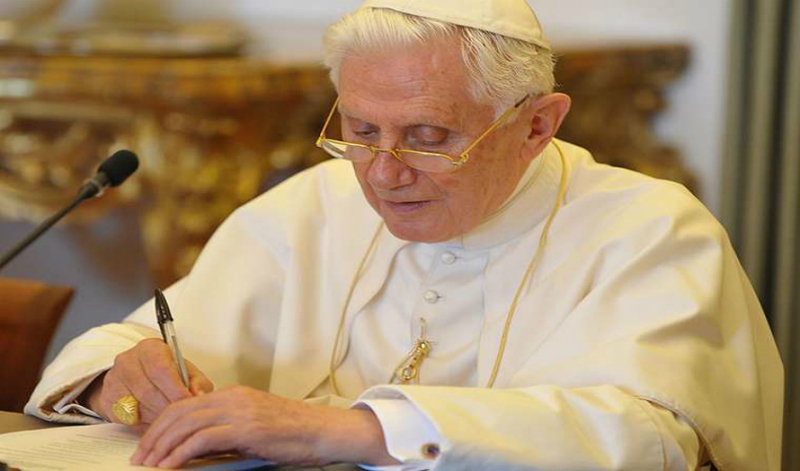 The German ex-pontiff’s comments, which are said to have been made a few weeks ago, were reported by the Catholic news agency Zenit, which did not name the person Benedict had spoken to. A senior Vatican source said the report was reliable. “The report seems credible. It accurately explains the spiritual process that brought Benedict to resign,” he said. Benedict said his mystical experience had lasted months, building his desire to create a direct and exclusive relationship with God. Third, these very phrases of Benedict in his interview with Guerrero are being misinterpreted. Yes, Benedict is saying the prospect of a trip to Brazil was a factor in his mind as he considered his options. Be he never says, definitively, that the prospect of the trip was the sole reason for his resignation. “This [note: the Rio de Janeiro 2013 World Youth Day] was a circumstance for which the resignation was a must for me,” Benedict said. Read it carefully: the World Youth Day was “a circumstance” and “the resignation” something else, something separate — something he had evidently already been contemplating for other reasons. Read it carefully again: “the date of my retirement” is something that “I had to decide in a relatively short time” because the World Youth Day was looming — in other words, the fact of the retirement was one thing, and the date was another, connected with the event of World Youth Day in Brazil. 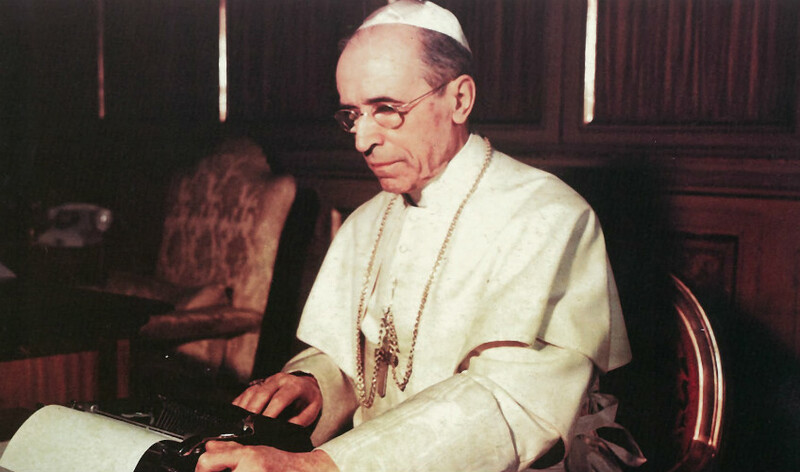 A close reading of the Emeritus Pope’s own words reveals that his retirement was something he had decided on separately from World Youth Day and the trip to Brazil. In this context, we learn of a very interesting fact from the new Seewald book: that Benedict kept a diary throughout his papacy! For these reasons, it seems clear that the new Guerrero interview focusing on the Pope’s inability to confront another long airplane trip to Brazil does provide useful information about the timing of his retirement decision, but does not yet provide us with that insight we would all like to have into the precise reasons he made the decision to retire. Having said that, there remains a loose end to tie up: why the passage from Blessed Julian of Norwich at the outset? And why the verses from T.S. Eliot? 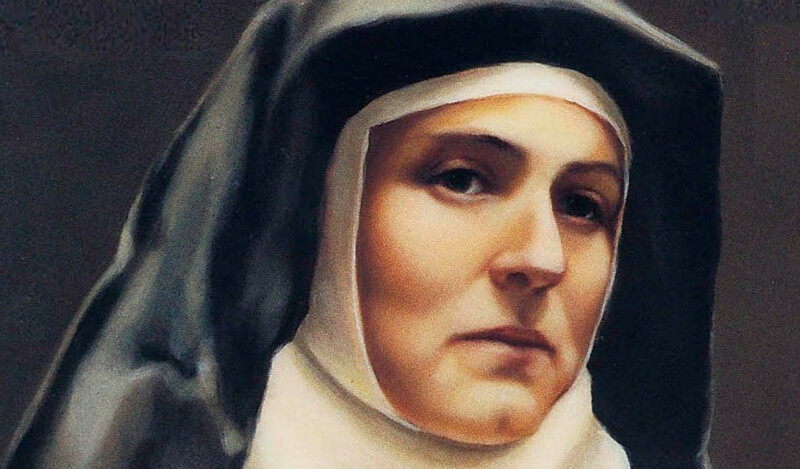 as the condition, or life situation, of the saint — the saint has linked his life, his suffering, his beseeching, his prayer, with the life, the suffering, the beseeching, the prayer… of Christ. This is what Pope Benedict has done. He is not making trips to Brazil, or to Cracow, and he is not battling with curial lobbies, or with powerful cardinals. He is living in silence in the Vatican Gardens. And his personal secretary, Archbishop Georg Gaenswein, has made clear that he is still carrying out an apse ct of his Petrine mission, that he hasn’t abandoned it, that he is still fulfilling it, in prayer, in silence. 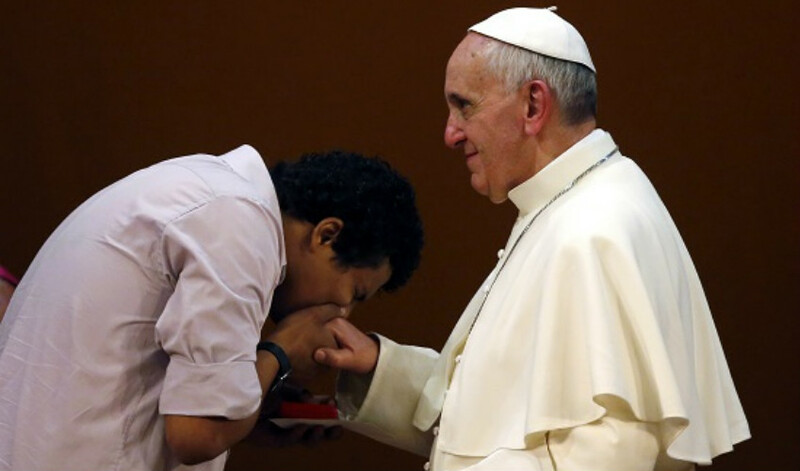 “In all my meetings with him, I have been able to experience not only reverence and obedience, but also friendly spiritual closeness, the joy of praying together, sincere brotherhood, understanding and friendship, and also his availability for advice,” Pope Francis writes in the Preface to Guerrero’s book. And what, precisely, is the “mission” that Benedict continues to carry out? He continues to carry out that mission of the Church, of all members of the Church, mentioned by Julian of Norwich — the proclamation of the merciful love of God for the world, a proclamation that Pope Francis says continues to be exemplified in the life of Emeritus Pope Benedict. “The whole life of thought and the works of Joseph Ratzinger have focused on this purpose, and — in the same direction, with the help of God — I strive to continue,” Pope Francis writes in his Preface. In his interview with Emeritus Pope Benedict this summer, Guerrero turned to the subject of the famous photograph of lightning striking St. Peter’s basilica on the day of his resignation announcement. “I realized that all I had to do I could not do alone and so I was almost forced to put myself in the hands of God, to trust in Jesus which, as I wrote my book about him, I felt bound by an old and ever deeper friendship,” Benedict said. “Then there was the Mother of God,” he continued, “the mother of hope who was a sure support in difficulties, and I felt closer in the recitation of the holy Rosary and visits to Marian shrines. This will be a shorter update since we’ve been very busy today responding to journalists and townspeople, politicians and bishops, all wanting to help us in their own way, and we are grateful to all of them. Inspectors finally came and as expected declared the church and most of the monastery unusable. Only the brewery a few rooms, and our gift shop will be allowed to be used as they are nearest to the ground and suffered the least damage. As a result, we’ll be setting up a new base camp at our monastery outside the walls, the restoration of which has not yet been completed, but which offers us various fields for tents and temporary buildings and a local farm house where we can take our meals. Alas the Basilica will remain closed for some months, but over the next weeks we hope to be able to gain access to the crypt or an adjacent room for daily celebration of Mass. Today we were also able to stop in and see a few families and businesses and assure them of our prayers. The Archbishop of Spoleto Norcia made an official visit with the inspectors of all the churches in Norcia (all will remain closed) and made arrangements with the Pastor of the town for Mass to be offered outside in a field this Sunday as aftershocks continue to make all the already damaged churches dangerous. The monks in Rome also continue to care for the people of Norcia through their particular monastic role of intercessory prayer on behalf of and for the people. The monks’ primary role in the life of the Church is one of praying quietly and silently, often unnoticed and even forgotten. Thus, we continue to strive to support the local parish clergy, who are charged with the particular sacramental needs of the townspeople, with our spiritual intercession, and collaborate with them when they request need. We know by faith our prayers help sustain their work and all those suffering and assist in healing the sufferings of many all over our region in these difficult times. Your continued support has inspired us in our prayer and mission. Please continue to pray for our community, and consider giving a gift (https://en.nursia.org/donations/) to help our effort to rebuild. Note: The Moynihan Letters go to some 20,000 people around the world. If you would like to subscribe, click here to sign up for free. 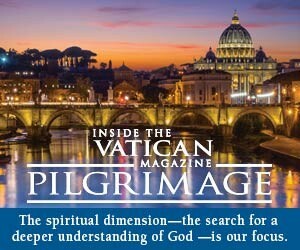 Also, if you would like to subscribe to our print magazine, Inside the Vatican, please do so! It would support the old technology of print and paper, as well as this newsflash. Click here. “The glory of God is man alive; but the life of man is the vision of God.” —St. Irenaeus of Lyons, in the territory of France, in his great work Against All Heresies, written c. 180 A.D.
Letter #14, 2019: The Ring – Tendentious Interpretations?